At this point, everyone’s heard of Apple’s infamous Touch Bar on its new(ish) line of MacBook Pros. The ultra-sensitive OLED touchscreen found above the numbers replaced the classic line of function buttons. 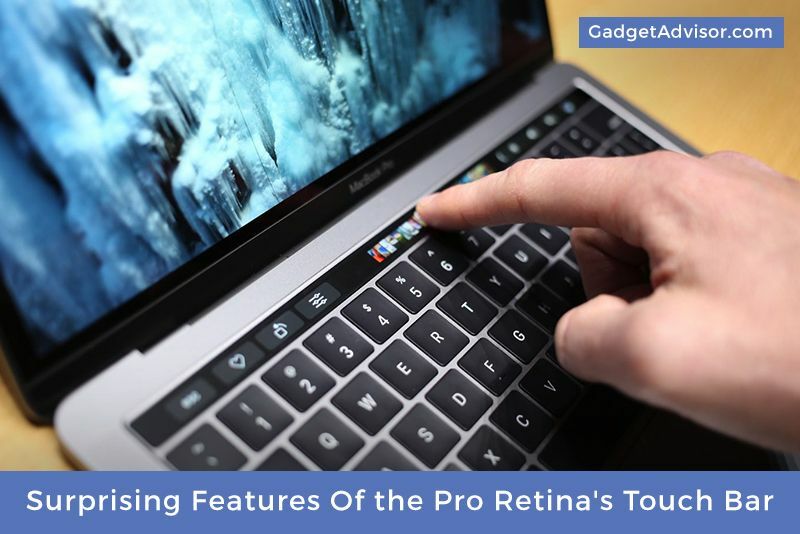 Whether you’re still grieving their loss, or you’ve gone dark side and embraced what the haptic bar can do, there’s a hidden side to the Touch Bar we’re willing to bet you weren’t aware of. It doesn’t just provide support for apps; it’s an app within itself, offering up fun games to pass the time. As if you need any help wasting time on your Mac. But just in case you’re curious, we’ve compiled a few of our favourite games. Anyone who’s attempted to open Chrome when they weren’t connected with the Internet will be familiar with this game. The offline side-scrolling T-Rex Dino game is played by those besieged by poor Internet connections around the world. It features the titular T-Rex jumping over cacti in the desert in order to survive. In the browser, you use the space bar to make the dinosaur jump over each cactus. It sounds simple but it’s surprisingly difficult to time your jumps perfectly. Gameplay’s similar on the Mac, though the cacti scroll across the bar and you only need to tap its OLED surface to compel your Dino to leap. It’s even harder on the smaller Touch Bar, but the game is just as addictive as Chrome’s version. If you wasted a lot of your workday playing the April Fool’sMs. Pac Man on Google Maps, then Pac-Bar is the game for you. The app brings the classic arcade game to your Touch Bar. Though on the surface it sounds a little boring, as Pac Man is chased along the horizontal line of the bar by Inky, Blinky, Pinky, and Clyde, but the developers have thrown a spanner in the works. You have the option to use your keyboard in order to take advantage of tunnels to find shortcuts away from the ghosts, making Pac-Bar far more interesting than meets the eye. Yes, you read that right. Even the Touch Bar supports Doom. Beyond the novelty of playing the famed FPS on such a widescreen — trust us, the aspect ratio is ridiculous — there isn’t much purpose to the game beyond maybe damaging your eyesight. Squint and you might just be able to see what you’re shooting at. Another classic available on the latest Pros is Pong. Luckily, unlike any of the previous games, it’s the first mentioned on this list that makes use of the Mac’s beautiful retina display. It has all of the charm of the original, but instead of using the old toggles to move your paddle you can use the bar. Or, if you have no sense of fun you can take control with the arrow keys. For those suffering from fat fingers, you might have difficulties playing the piano on the Touch Bar. This app displays roughly two octaves worth of piano keys that play their individual notes when you tap them. It also comes equipped with the sounds of 128 different instruments, so you aren’t just stuck with the dulcet tones of an electric keyboard. Sure, you could use Garage Band to the same (and better sounding) effect, but that’s the charm of the app. These are just 5 of what we deemed the silliest games we wouldn’t mind playing on our latest Pros, but there are a ton more waiting for you on GitHub, where software developers are experimenting with what the Touch Bar is capable of doing beyond what Apple had in mind. Downloading these games is just one of the many ways you can personalize MacBook. Like applying a custom MacBook Pro wrap in your favorite color, setting up your Pro with your favorite arcade game keeps your laptop interesting and unique. Because let’s be honest, sometimes the Pro needs it. Apple’s latest model takes itself really seriously, but it wasn’t quite what most Mac lovers were expecting. Along with its surprisingly low RAM limit and the SD card’s absence, the Touch Bar was partly to blame. You might as well reclaim this OLED strip and have some fun with it. Check out the games it supports, and let us know which ones make it to your top 5 list.